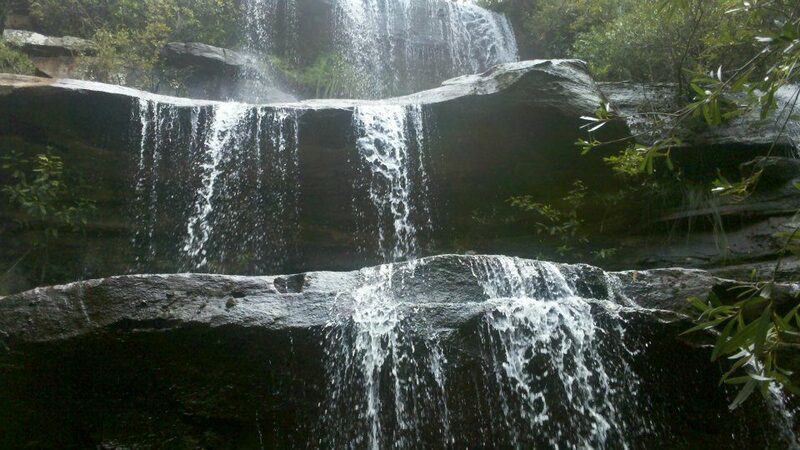 Uloola Falls, Royal National Park. Maps, directions, photo's. From Waterfall station it’s around a 5-6km bushwalk to Uloola falls. You can park at the station and the walk is well marked, just follow the Uloola trail. The track is shared between bushwalkers and mountain bike riders. It’s wide enough to cater for both. The trial isn’t quite long enough for mountain bike riders so you shouldn’t see that many while going on this bushwalk to Uloola Falls. From Waterfall station it’s around a 5-6km bushwalk to Uloola falls. You can park at the station and the walk is well marked, just follow the Uloola trail. 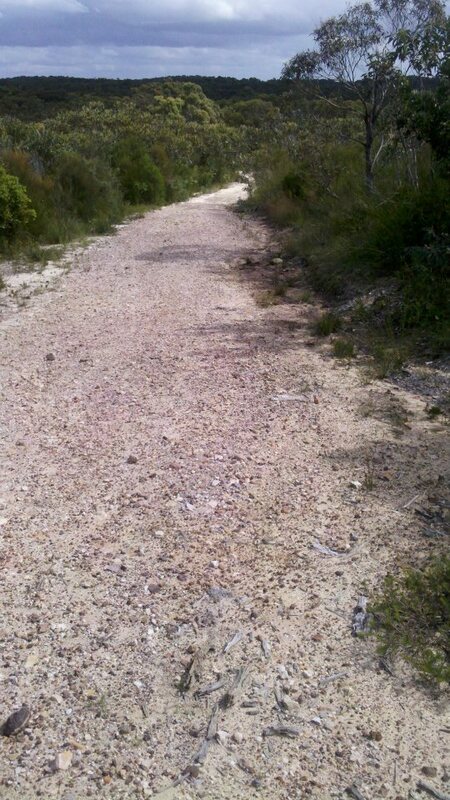 The track is shared between bushwalkers and mountain bike riders. It’s wide enough to cater for both. The trial isn’t quite long enough for mountain bike riders so you shouldn’t see that many while going on this bushwalk to Uloola Falls. The Uloola Falls track connects to the Karloo track. This gives you a couple of options. One option is to follow the Karloo track to Heathcote station for an 11km bushwalk and catch the train back to Waterfall. This works out to be about the same distance if you head back to Waterfall station. You also get to see a bit more of the Royal National Park and Karloo Pools which is well worth a look. This you decide to do the loop take your swimmers as Karloo Pools is an excellent place to go for a swim. 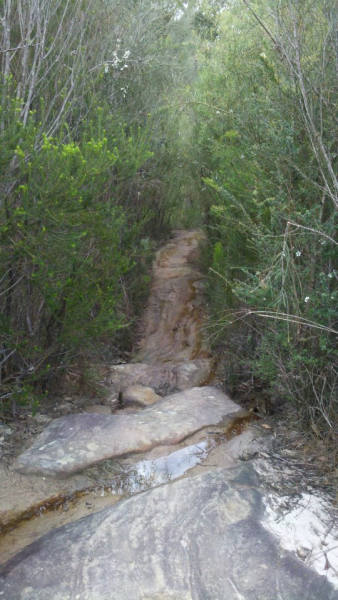 See the link below for details of the Karloo Pools Bushwalk. The Uloola Falls track connects to the Karloo track. This gives you a couple of options. One option is to follow the Karloo track to Heathcote station for an 11km bushwalk and catch the train back to Waterfall. This works out to be about the same distance if you head back to Waterfall station. You also get to see a bit more of the Royal National Park and Karloo Pools which is well worth a look. This you decide to do the loop take your swimmers as Karloo Pools is an excellent place to go for a swim. 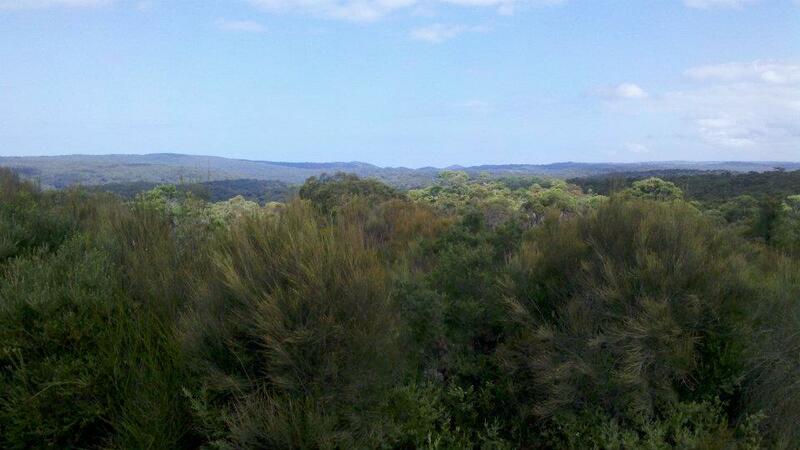 See the link below for details of the Karloo Pools Bushwalk. The other option is to head straight back to Waterfall station. I would recommend the first option but it’s all down to personal preference. 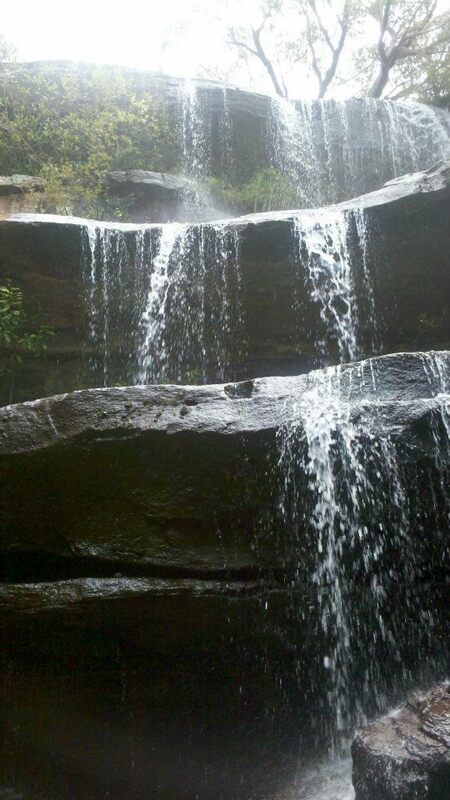 With any water fall the best time to view it is after a large storm. The other option is to head straight back to Waterfall station. I would recommend the first option but it’s all down to personal preference. 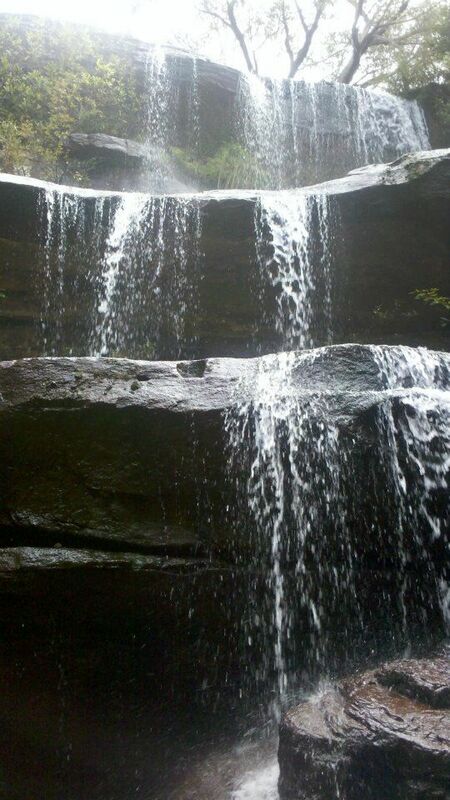 With any water fall the best time to view it is after a large storm. The map below is from when I rode the mountain bike along this trail. If your walking it the trail head will be at the station. So a slightly different spot then what is shown below. The map below is from when I rode the mountain bike along this trail. If your walking it the trail head will be at the station. So a slightly different spot then what is shown below. Directions to the Uloola Falls Hike. Google Map Link. From Waterfall station it’s around a 5-6km bushwalk to Uloola falls. You can park at the station and the walk is well marked, just follow the Uloola trail.